Do you like to see how the form I20 from a US University looks like? You can find old and new I20 samples below. 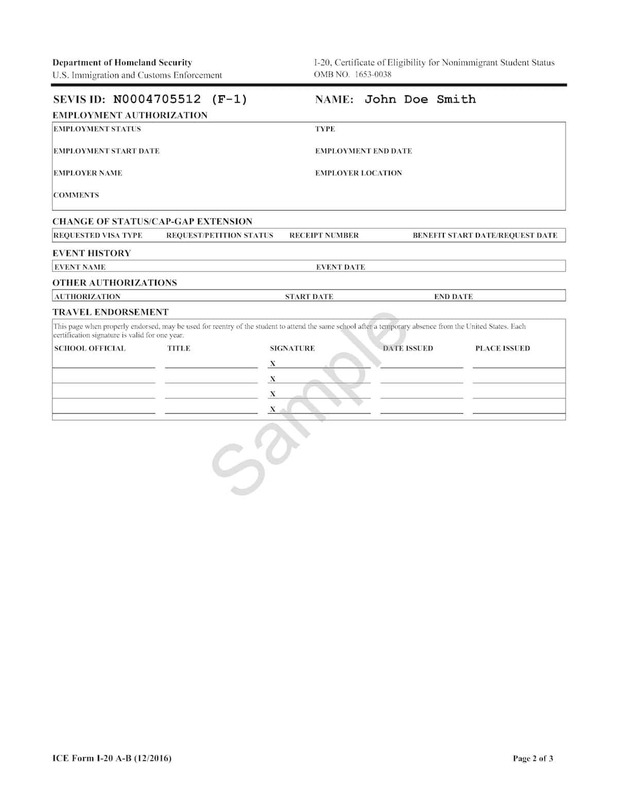 Form I-20 is a document issued by SEVIS approved universities and colleges to foreign students. Students require I20 to apply for the F1 visa to study in USA. Here is a sample I20 issued to a student with a full scholarship. From I20 is always issued along with college admission letter with $16,347 research assistantship. Schools will require students to confirm if they will be attending their university when financial aid is offered. If the student denies admission, then they can pass on the financial aid to other admitted students. You can find the three pages of New I20 format bellow. If you have any questions about sample I-20 leave a comment below. Also, check out the admission letter that came along with above I-20 (link is posted above).